The Megaview Loupe (without lighting) is also available with 3 interchangeable lenses; 2.0x, 2.5x, and 3.0x. Because of the hoodless design, the Megaview allows the user to look around the lens when viewing. 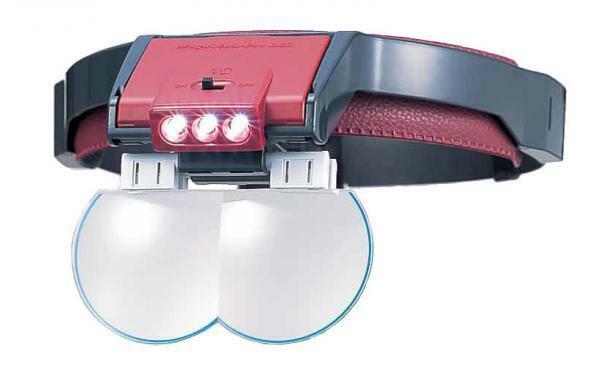 Each lens has a wide field-of-view, clear optics, adjustable illumination angle, and includes batteries (rechargeable).